Please call 270-924-9076 for current rates. Call 270-924-9076 for rates and tee times. 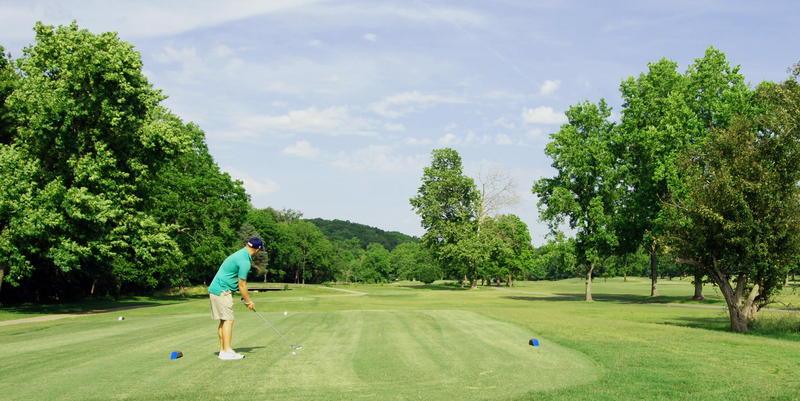 Contact Lake Barkley Golf Course at 270-924-9076 for more information and details on holding a golf outing at the course. World-class Lake Barkley lodge, designed by Edward Durrell Stone, seems to have just emerged naturally from the wooded shoreline that surrounds it. Using a post-and-beam wood construction of Western Cedar, Douglas fir, and three-and one-half acres of glass, the recently renovated Barkley Lodge complex provides a lake view from the private balconies of most of the 120 rooms and four suites. Open year-round. Rooms available by late afternoon. Check-out by noon, Central Time. Pets are not allowed (with the exception of service dogs). The Little River Lodge offers 10 rooms and one suite and may be rented as a whole unit. Open year-round. Rooms available by late afternoon. Check-out by noon, Central Time. Pets are not allowed (with the exception of service dogs). For private accommodations enjoy one of the nine two-bedroom, two-bath cottages with lake or wooded views. For rustic charm Lake Barkley offers 4 two-bedroom log cabins. Each has unique appeal, and offer screened-in porches or decks. Tableware, cooking utensils and linens are provided. Open year-round. Cottages are available by late afternoon. Check-out by 11:00 AM, Central Time. Pets are not allowed (with the exception of service dogs). This glass walled 331 seat restaurant allows guests to have panoramic and scenic views from any seat in the house. With Chef Hattie Cheatham's specialty of good old country cooking like meatloaf, fried chicken, catfish & hushpuppies, with real mashed potatoes, the restaurant has earned a long-time and well-deserved reputation for the best home cooking in western Kentucky. As a supporter of Kentucky Proud program we utilize locally grown meats and produce when available. This profile was last updated on 04/04/2016 and has been viewed 15,304 times.